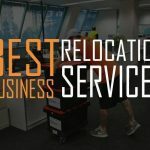 Business Relocation Services has combined the latest environmental management to improve the relocation process. 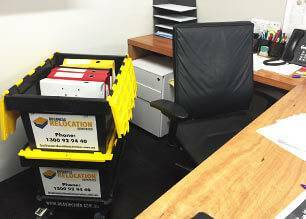 With the use of Crate and Skate solution, office relocation has now become more efficient and faster than ever. In addition, it helps reduce the carbon foot print of when relocating. ECO Crate and skate solution provides an efficient highly secure modern approach to relocating commercial work areas. 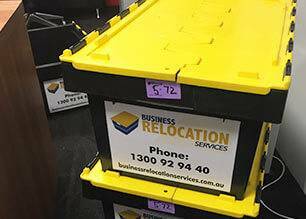 Crates will ensure that an extra element of protection is provided when packing items. The crates are all sequentially numbered and can be sealed at both ends with a number “Grip Lock” seal. 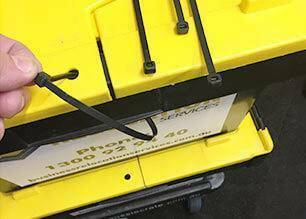 The crate number and the seal number than can be recorded on a security crate register. Our crates are made of non-pours material and non-penetrable bio degradable material.